Once we’ve collected coats from the public, the volunteers get to work at our sorting sessions. We spend many hours sorting coats into different piles for men, women, children and babies. We check pockets and make sure the coat is in good enough condition to be given away. In December, the sorted coats will be distributed to charities across London. We work with charities and community organisations that provide frontline services to the homeless, the elderly, refugees, children and families living in poverty and people fleeing domestic violence. These coats are intended for people, not charity shops. If you can help us transport the coats from Safestore to one of our charity partners, get in touch today. Wrap Up London don’t distribute the coats to those in need directly, because we want to help charities create lasting exchanges with those they set out to help. So when a vulnerable Londoner reaches out to a charity for a coat this winter, they will also discover the other resources and forms of support available to them. It’s amazing that a coat YOU donated could kick-start a relationship between those in need and the charities that can help them by providing year-round services and support. 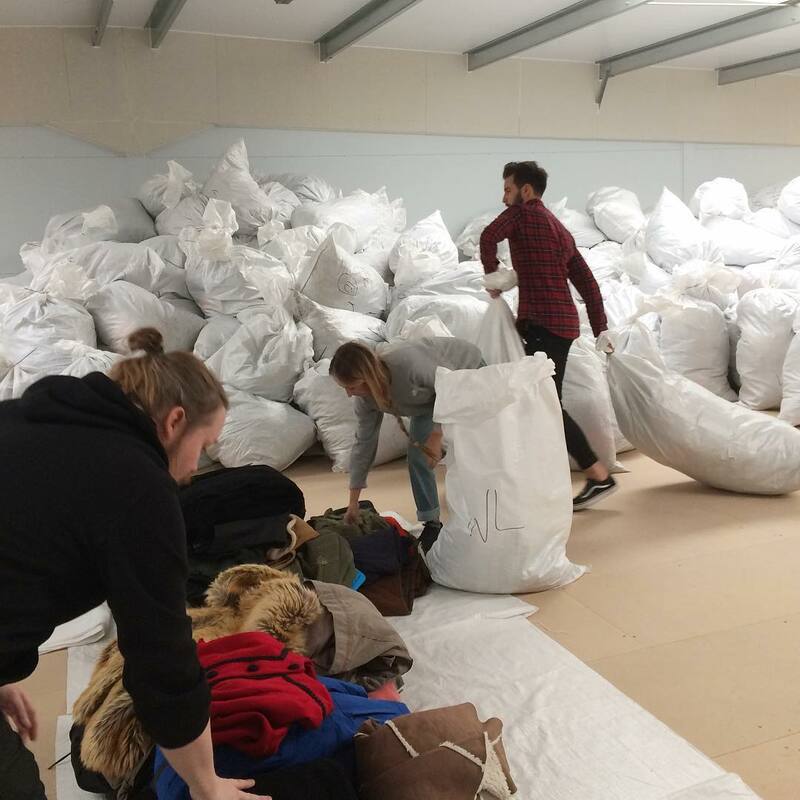 Wrap Up London is now in its eighth year, and our impact continues to grow thanks to the Londoners who take the time to find and donate their old coats, and the incredible volunteers that give their time. Our campaign is run by a small team hardworking volunteers organised by the registered the registered charity, Hands On London. Click here to read more about the work that Hands On London does.